You have been redirected from the former dental emodel website. All the information about what emodel is, the history behind the technology and how to get started can now be accessed here. Below, you will find some useful information and links to help you understand the history behind emodels as well as assist you in understanding what you may need. For any emodel questions or if you are new to signing up, please contact 1-800-328-2568. You do not need to sign up for an account to download a copy of the software. Software is compatible with Windows XP, Windows Vista, Windows 7, Windows 8 and Windows 10. 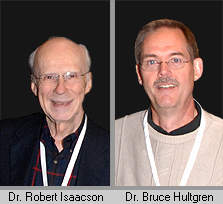 In 1974, research performed by Dr. Robert Isaacson and his then orthodontic graduate student Dr. Bruce Hultgren identified a need to integrate the disciplines of engineering with dentistry. Isaacson used an NIH (National Institutes of Health) grant to study jaw motion in collaboration with the engineering faculty at the University of Minnesota. As a spin-off of this project, Dr. Hultgren also became involved with the engineering personnel and developed a program that showed detailed jaw motion. Hultgren was faced with a biomedical challenge: to find a way to measure the dynamic growth of teeth and jaw. Utilizing his interest in mathematics combined with his dental background, he discovered a mathematical expression of motion dynamics applied to teeth. This expression, first captured manually, was eventually captured in software. By 1984, the mathematical model was demonstrated on a desktop computer and experimentation began with 3-D graphic manipulation of a limited model. In 1994, Dr. Hultgren became aware of a laser scanning technique that acquired surface data points. In 1996, GeoDigm was incorporated to explore the benefits to dental professsionals when using 3-D digital full mouth models. GeoDigm Corporation developed a proprietary laser scanning technique that would accurately digitize dental models, now known as emodels®, which has since become the standard in helping orthodontists throughout the country treatment plan patients and archive patient records. In 2009 GeoDigm joined NDX to become the leader in Digital Dental Restorations.